We all want to maintain our health. But what happens if you can’t afford to? Thankfully there are lots of options out there for those that are sick of high medical bills, certain to keep your bank balance staying healthy. Company insurance schemes can be some of the best out there. If your employer offers such a scheme, you’d be daft not to buy into it. Some company schemes can allow a certain amount of free medical spendings a year through FSAs (Flexible Spending Accounts). Even if you never need to take an emergency trip to the doctors, this allowance can still come in handy allowing you to load up on household supplies such as band-aids, baby products, antihistamines, paracetamol and other medicines that may be available through the scheme. In many cases, prescription glasses and contact lenses can be available through such company schemes. Even if you don’t need corrective vision yourself, a family member or friend may be able to benefit from this scheme. If you need prescription medicine, don’t automatically opt for the big brands. There are many medicines out there that are likely to have exactly the same effects, having gone through the same testing methods – they may just not be advertised on the TV or be as widely available due to being a small manufacturer. Shop online for such medicines and see if you can save money. You can also try alternative medicines such as holistic and herbal remedies with less serious conditions. These will often be much cheaper and could have similar healing effects. Farm Bureaus are associations set up predominantly for farmers that can be found in every state. You don’t have to be a farmer to join, and such groups often have great financial perks, one being the possibility of massive discounts on medical bills. Like an insurance scheme, you will have to pay a regular fee to be a member, although it’s much less than a medical insurance scheme. Check first that your local Farm Bureau offers such a scheme and if so, consider signing up. There are various instances in which you may be eligible for legal compensation, which could cover medical bills. Personal injury lawyer firms such as harrybrownlaw.com specialise in offering such services. Times when you could be eligible for cover include car accidents and workplace accidents that weren’t your fault, medical negligence (such as misdiagnosis or an operation that could have been handled better) and defective prescription drugs. There are also other cases where you may have been billed incorrectly by medical staff or an insurance company. If you have any doubts, ask a lawyer who can confirm whether you have a likely case and should pursue action. Most insurance schemes will allow you to offer a deductible cost. This is the amount of money that you are willing to pay out of your own pocket for any medical bills before your insurance company has to pay anything. By raising this amount, your insurance rates will dramatically drop. Be careful of offering to pay more than you can comfortably afford. Try to set up an emergency fund that can cover such an eventuality – keep it safe in another account to stop you from touching it. Certain accounts such as Flexible Spending Accounts and Health Savings accounts can have their perks when it comes to taking out an insurance scheme. FSA’s can allow you up to five hundred dollars’ worth of spending money that in some cases rolls over into the next year, allowing you to save up money on medical bills. HSAs work similarly but can be carried with you from job to job. Advocates are largely used to help with difficult medical decision making, in which a party may not be able to make the decision for themselves. However, they can also be used to help negotiate incorrect medical billing or to find cheaper solution to expensive medical treatment. 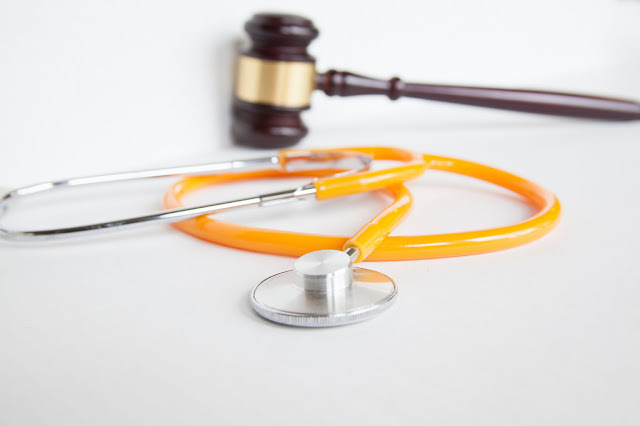 If you are financially struggling and are in need of medical treatment, using an advocate might be your best option for getting the care you require within your budget. There are all kinds of advocacy groups across the country that can be contacted by phone or online – some may even be able to offer free advice if this is all you need.